Two new lands, an emerald anniversary, several long-anticipated attractions and an expanded array of family-friendly lodging options — there’s certainly a lot to celebrate at Walt Disney World Resort in 2018! 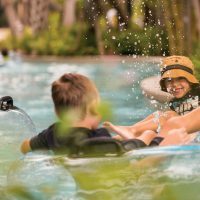 Here’s what families will find this year and next at Disney World. 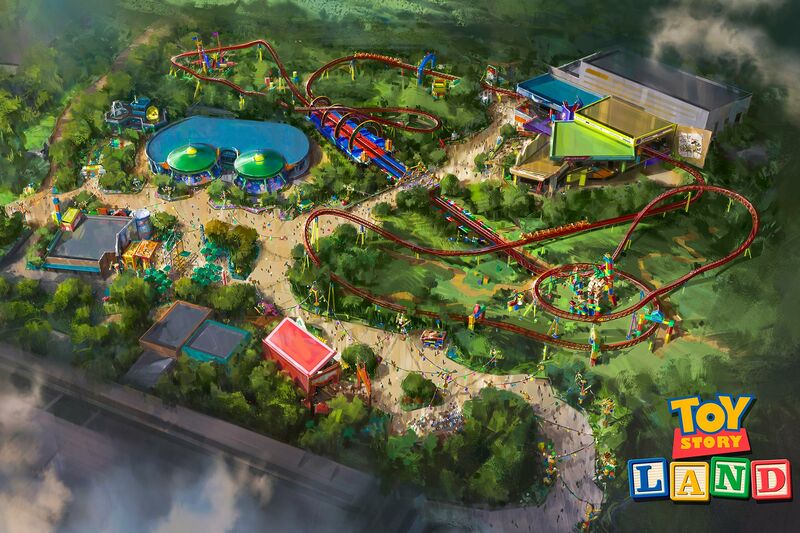 Undoubtedly the most anticipated addition to Disney World in 2018, a new Toy Story Land at Disney’s Hollywood Studios will feature two new attractions, both scheduled to debut this summer. Toy Story fans of all ages will have fun twisting and turning aboard Slinky Dog Dash — a TINKERTOY-inspired, retro character-themed coaster. Alien Swirling Saucers — another new attraction — will bring riders into the action of a playful chase through space. Meanwhile, families can enjoy even more fun and games in 2018 and beyond, thanks to the recent addition of a third track to the existing (and wildly popular) Toy Story Mania ride. A new holiday light show debuted in December, 2017, replacing the long-running Osborne Family Spectacle of Dancing Lights. The Flurry of Fun holiday celebration includes the new Sunset Seasons Greetings (a winter wonderland transformation,) the returning Jingle Bell, Jingle BAM (a fireworks, light and projection show) and new, exclusive holiday dining opportunities. Replacing The Great Movie Ride, which closed in August, 2017, Mickey’s Runaway Railway will be a family-friendly 2-1/2 D ride that immerses participants in a Mickey Mouse cartoon short. Expect plenty of surprises and sing-along fun on this attraction, which will debut at the Chinese Theater. Debut date is TBD. An all-new Hall of Presidents opened in December, 2017, following a one-year hiatus for renovation. 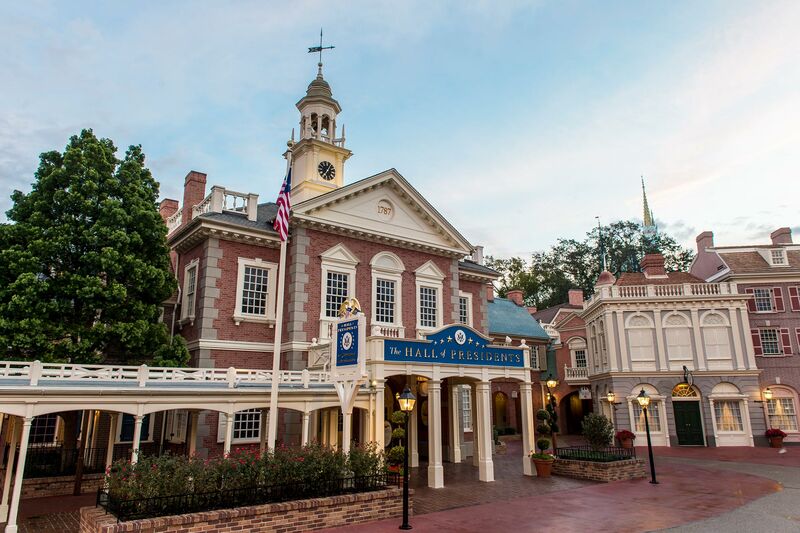 The refurbished Liberty Square attraction features updated show content, enhanced audio-animatronics (including a newly added 45th presidential figure,) and state-of-the-art projection, lighting and sound. If you haven’t visited Animal Kingdom Park lately, 2018 is a great time to return. This year, visitors to Walt Disney World Resort’s fourth and “newest” theme park, which is celebrating its 20th anniversary, will find more animals, more attractions and more opportunities to see nature in a new light. This spring, Disney Pixar’s “Up” movie star Russell and his furry friend Dug invite guests to join them on their newest adventure– discovering birds from around the world. The up-close aviary show, which will replace Flights of Wonder, is set to debut in the Caravan Theater in Anandapur Village. In 2018, Animal Kingdom visitors can see adorable Indonesian tiger cubs, Jeda and Anala, for the first time on Maharajah Jungle Trek. 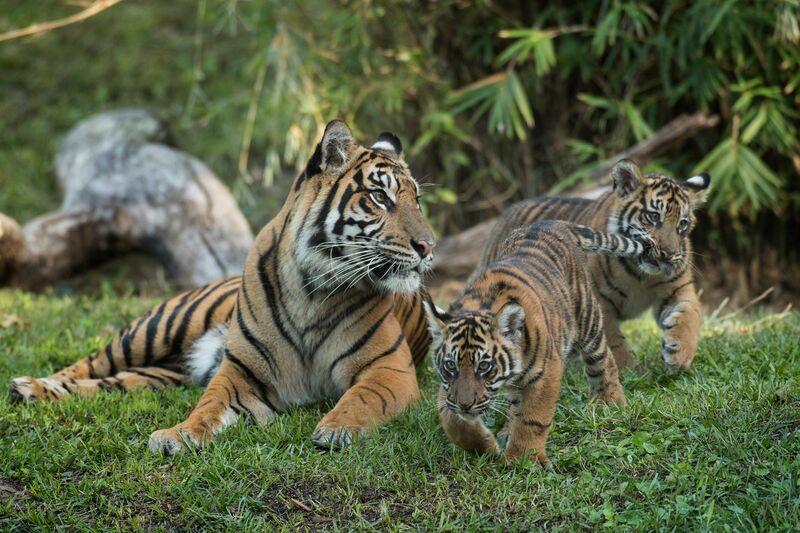 The playful pair, born in August 2017, is the first set of Sumatran tiger cubs (a critically endangered species) born at Disney’s Animal Kingdom. Also later in 2018, you can see a cute new Nile hippopotamus calf on Kilimanjaro Safaris and Wild Africa Trek. Born in January, 2018, the calf is the first Nile hippo born at Animal Kingdom in 13 years. In 2018, lines for attractions in the new World of Avatar, are bound to be more manageable than when the land opened in early 2017, and at night, you’ll experience the land in a whole new “light.” Formerly known as a day time park, Animal Kingdom now has a full range of after-dark experiences, including Tree of Life Awakenings, Discovery Island Carnivale and the Rivers of Light Show, for which exclusive dining packages are now available. Through February 19, Epcot International Festival of the Arts returns for a second year, featuring more performing, culinary and theatrical art experiences. Park visitors can try artsy Food Studio treats and take classes in food styling, topiary, floral art, and even phone cam photography. Special three-day weekend musical performances, staged at America Gardens Theater at Epcot’s World Showcase, will feature stars and songs from popular Broadway shows. New this year is a Disney on Broadway concert dining package, which includes guaranteed priority show seating and breakfast, lunch or dinner at one of five Epcot table-service venues. A trio of Italian restaurants is now open: Maria & Enzo’s Ristorante (Sicilian Trattoria,) Pizza Ponte (sandwiches, coffee drinks and pizza by the slice) and Enzo’s Hideaway (basement speakeasy with a saucy Sunday supper.) Another upscale new American venue, The Edison, is family-friendly until 10 p.m. Also coming in 2018: Terralina Crafted Italian (Northern Italian concept with sweeping waterfront views,) Jaleo (Tapas), Wine Bar George (small plates and wine by the glass or bottle) and Wolfgang Puck Bar & Grill. Cirque du Soleil will soon welcome a new show, paying tribute to the history of Disney Animation, to its custom-designed Disney Springs theatre. The curtain closed on the long-running “Le Nouba” show on December 31, 2017. 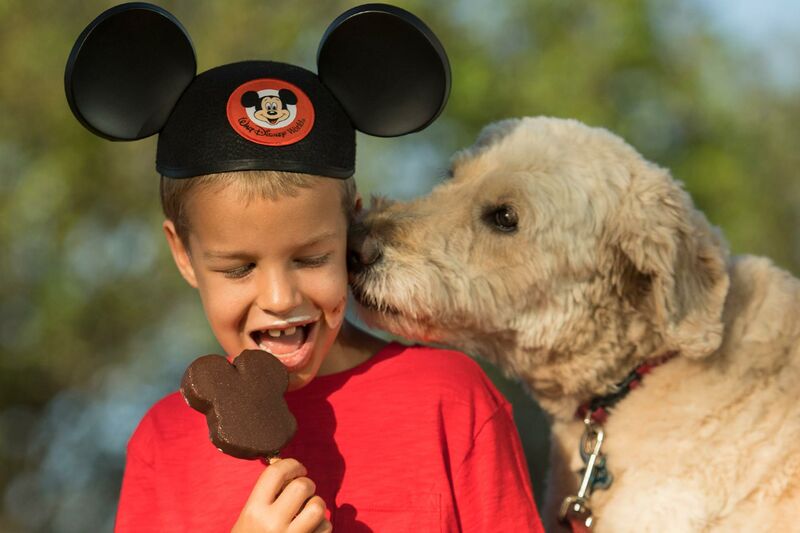 Your furry best friend can join the rest of the family on a 2018 Disney World vacation, thanks to a new dog-friendly policy. Dogs (maximum of two per room; fees apply) are now permitted in select rooms at participating resorts, including Disney’s Yacht Club Resort, Disney’s Port Orleans Resort – Riverside, Disney’s Art of Animation Resort and in cabins at The Campsites at Fort Wilderness Resort. Pets are not permitted at theme parks or in food or beverage areas. 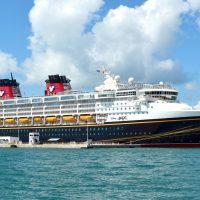 Disney’s Caribbean Beach Resort is undergoing a major renovation of accommodations and food and beverage facilities, as well as construction of a new aerial transportation hub. Expansion is also underway at Disney’s Coronado Springs Resort, which will soon feature 500 additional rooms in a 15-story tower, including suites and concierge-level accommodations. Both resorts will be connected with Epcot and Disney’s Hollywood Studios via a new Skyliner transportation system. Next to Disney’s Wilderness Lodge, Copper Creek Villas and Cabins opened in mid-2017. The 14th Disney Vacation Club property features Deluxe Studio, one-, two- and three-bedroom villas and two-bedroom waterfront cabins in a peaceful Magic Kingdom area setting. A new concierge lounge, Reunion Station, is set to open in 2018. 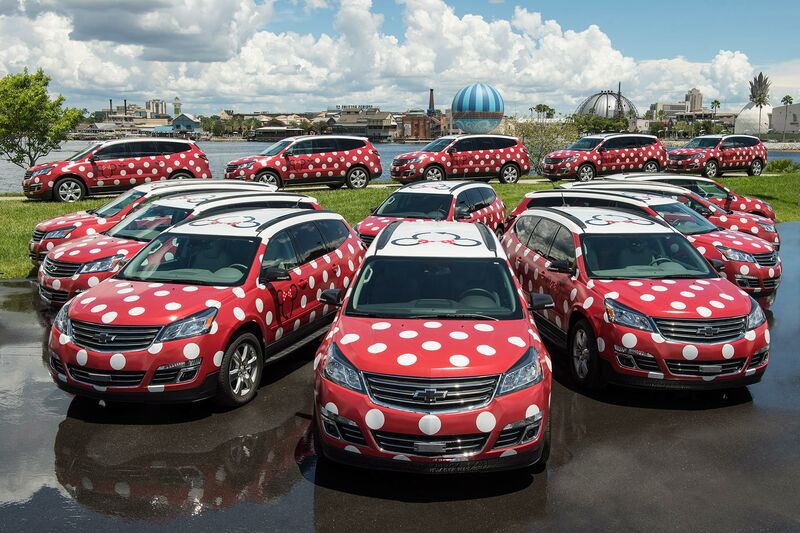 Available to guests of select Deluxe Disney resorts, Minnie Van transportation service is a new smartphone-initiated point-to-point transportation service that allows families to travel around The World with ease. From January to December 31, 2018, guests at Disney Springs seven official resort area hotels will enjoy new exclusive theme park perks, including Extra Magic Hours access. In addition, guests who purchase a Walt Disney Travel package can book FASTPASSES 60-days in advance. See How to Choose a Hotel in Disney Springs for a list of hotels. Sci-fi fans will have even more to look forward to in 2019, when Star Wars: Galaxy’s Edge debuts. 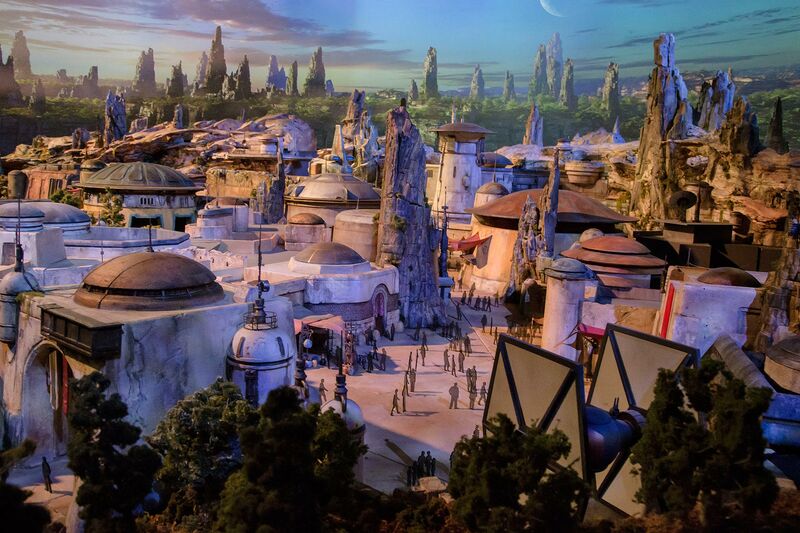 Visitors to the star-studded new land, set on the remote planet of Battu (and physically located on 14 acres in the former Streets of America section), can fly the Millenium Falcon, step into battle aboard a Star Destroyer, drink blue milk like Luke Skywalker, and meet up with favorite characters like Chewbacca and BB-8. A new Disney Skyliner aerial transportation System will link select Disney accommodations (Disney’s Caribbean Beach Resort, Disney’s Art of Animation Resort and Disney’s Pop Century Resort,) as well as the future Disney Riviera Resort, with Epcot and Disney’s Hollywood studios via enclosed gondola/cable car. Slated to open in Fall 2019, Disney’s Riviera Resort will be the 15th Disney Vacation Club property, and will be located adjacent to Disney’s Caribbean Beach Resort in the Epcot resort neighborhood.